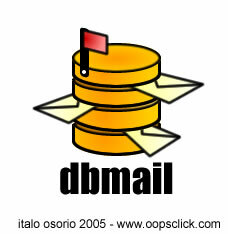 DBMail is a mail system that stores mails into a database including attachments. I really like this idea when I first read about it on the net. The first thing came into my mind was speed. Traditional filesystem can't beat the speed of SQL query especially when we deal with thousands of users accessing millions of mails. That said, the time of retrieving, storing and searching of mails can be reduced significantly. One system that can compete with this is Cyrus. Cyrus is also conceptually the same as DBMail but it uses different database backend. I am now struggling setting up my mail server based on DBMail and I use SquirrelMail as the frontend to login and access mails. Things go wrong somewhere and it's been 2 days now. I just can't receive mails for now. Login works ok. I hope I can complete it by next week. Don't you think learning new technology is fun?